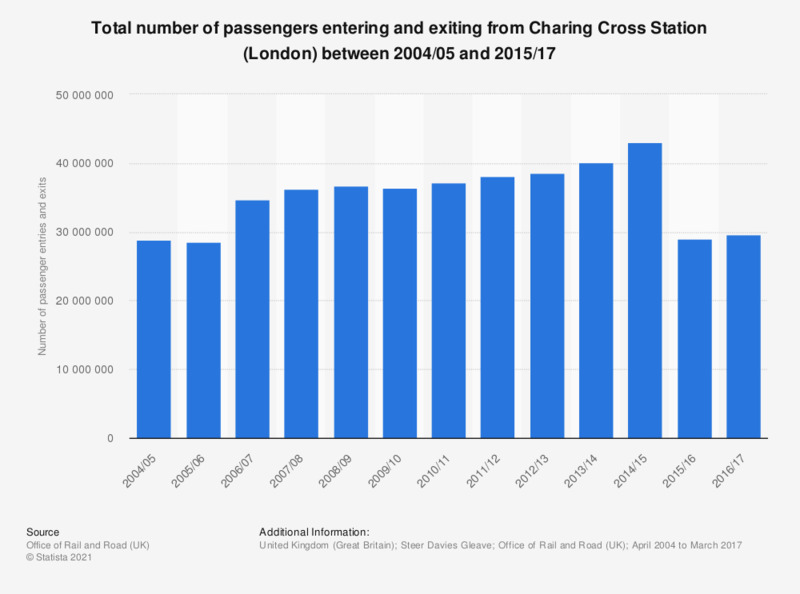 This statistic shows the number of passengers entering and exiting from Charing Cross Station between 2004/05 and 2015/17. There was a steady growth in the number of people entering and exiting Charing Cross station over this period. The number grew to 42 million in 2014/15, yet dropped significantly to the lowest number in recent years, reaching approximately 29 million people entering and exiting Charing Cross station.